It is the busiest time of the year for a lot of people right now. For me I am busy preparing for the new year in my career. Then with the Tabletop RPG One Shot group on Facebook, this website, YouTube channel, this blog, podcast, and potential merchandise for all of this on top of that I can say this is the busiest I think I have ever been! It is fantastic though. So many things for me to feel optimistic about. The Tabletop RPG One Shot group on Facebook is over 600 members now! I know of people who have played/ran in over 20 games since its inception back in September. That is amazing to me! 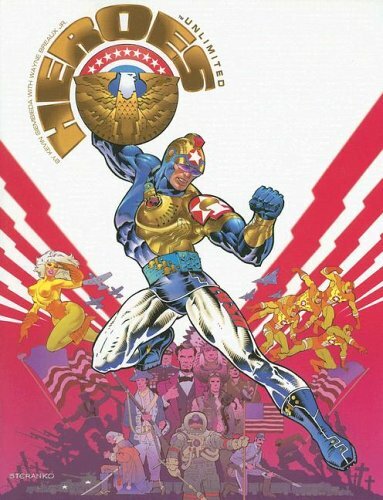 There has been a lot of Dungeons and Dragons Fifth Edition played but surprisingly the next most popular system has been Palladium Books with Rifts, Ninjas and Superspies, and Heroes Unlimited being played more than any other games. One thing I can say is that we always need more people willing to run games. Really looking forward to seeing what 2015 brings for this group. With the launch of my website I relocated my blog from Wordpress to here. This was a really effective move because I am getting more views than I ever did over there. I enjoy posting blog posts more than I did before as well. I probably enjoy it more because I have much more interaction here since moving it. If people have learned from my YouTube Channel and this Blog I love interacting with people. Hearing others opinions and sometimes opposing views is interesting to me. Then there is the Podcast which will be recorded later on tonight actually. I will be editing a couple things into it before posting so that should be up this week sometime. Been looking forward to doing this and couldn't be more excited about it. Andrew aka sr2joker will be my co-host which is awesome! He is an awesome guy with an excellent YouTube channel. The guy is very smart and brings a lot to the table. I trust that you will enjoy our Podcast that we will try to bring you monthly and possibly twice a month at times. The podcast will talk about the games we currently are running or playing as well as anything else that has us excited. Right now we both are playing a lot of D&D5e and Palladium Books too. Most of our discussions will probably be about 5e in the near future but I am sure we will cover a lot more. Planning on getting some stuff up in the store for the YouTube Channel, Tabletop RPG One Shot group, the Podcast, and so much more. If you have any suggestions feel free to let us know. As you can see there is a lot going on around here. All of it good! 2015 looks like it will be a crazy year from the start but that is a good thing. I love being busy and hope you will all be coming along for the ride. Again if you have any suggestions feel free to contact me with them.